Eurofer says that China and Taiwan shipped 620 million euros ($680 million) worth of coldrolled stainless steel into the European Union in 2013, some 17 percent of the overall market, and were guilty of dumping, or selling at unfairly low prices. A parallel investigation into alleged illegal subsidies for Chinese producers is also due to end in September. 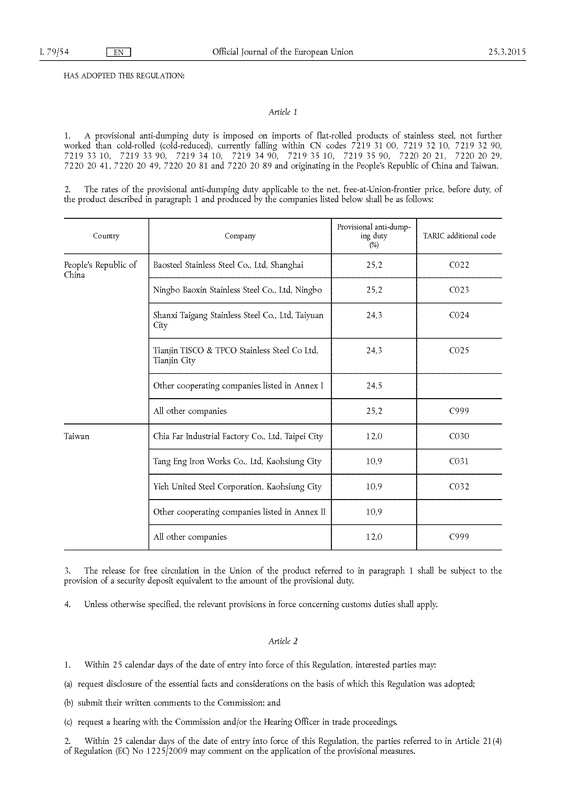 Eurofer is also seeking to prolong existing duties on Chinese imports of wire rod. 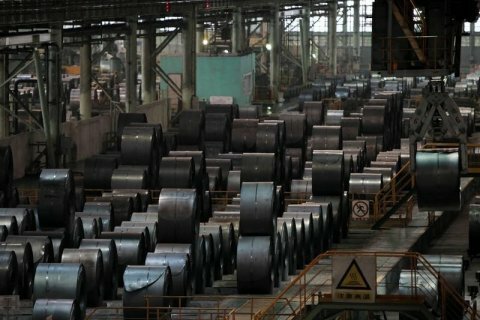 Total Chinese steel exports rose to a historic peak of 93 million tonnes in 2014, Eurofer said, equivalent to 60 percent of total EU steel consumption. Chinese steel exports to the EU increased to 4.5 million tonnes last year from 1.2 million tonnes in 2009. Eurofer believes the large expansion of China's steel industry does not reflect cost advantages but is based on state-owned enterprises raising capital on preferential terms, as well as other forms of subsidy. It also says China's exports include not just basic products, such as hot-rolled steel, but also highend coated sheets. Eurofer said it was also concerned by a potential export surge from Russian producers due to the lower rouble and depressed local economy. It has urged the Commission to monitor imports closely.